Many of us still remember when you could leave an eBay user feedback even if you weren't involved in a transaction. So much has changed over the years, but the biggest change occurred when eBay took away the ability for sellers to leave anything but a positive rating for a buyer. Sure there are complaints - we just received a letter from a reader who believed a customer accidentally left a negative rating but was unable to get eBay to remove it. But overall, does the feedback system do the job? As we speed toward 2019, we wonder, how relevant is the eBay feedback system? Should it be replaced with a more relevant metric? Or is it the best way for would-be customers to judge sellers? Please take a quick informal survey via SurveyMonkey and let us know what you think. We left lots of room for comments (and ask for your thoughts about other marketplace feedback systems), and we'll report the results in a future issue! Feedback is still relevant for sellers. It has no relevance for buyers accept to make them feel good. The current FB system is just screwy IMHO. I think we should follow suit with other sites and do away with FB left for buyers completely. So then we are left with Seller FB only. With the current system on Ebay I only get 1/3rd or less of my buyers even bother leaving FB, which is fine with me. But if we go to a Seller only FB, that will drop even more because some buyers that aren't getting FB from sellers won't even bother to leave FB for the seller. I also think FB percentage currently displayed for sellers is using bad math. Currently the number of FB is divided by the # of FB left for the seller. I think that is completely wrong. I think the # of FB left should be divided by the total # of transactions the seller had during the period. That would be a more accurate percentage on how the seller is doing. We all know we are more likely to post something when we have a complaint rather than when we have something good to say. Feedback started as a good thing but over the years it has deteriorated to where eBay uses it as a weapon against sellers. By using feedback for monetary gains, eBay plucked away the community and any remaining relevance to the seller and to the buyer. Feedback is strictly an eBay manipulation tool . 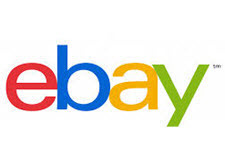 It is just part of eBay's growing arsenal on hand to be used against sellers for financial gain. Would you please explain a little more. How does Ebay use FB for their financial gain? Feedback probably is no longer relevant in the traditional sense, but I feel like it does individualize a seller letting buyers know the reputation. It shows experience and that builds confidence. If I am buying a $5 widget and the seller has 2 feedbacks I may take a chance. If I am buying a $1000 TV i might want to make sure I am not the first to buy one. This is especially true in collectable categories. If I am buying an issue of Spiderman number 1 labeled "original" from a low feedback seller I can't tell what his experience is to know that. If a 10,000fb seller says the same the feedback gives him credibility and I am much more inclined to believe him. I recently looked for a big ticket item on ebay that is heavily faked. I found one from a newbie seller at a great price. Their lack of experience turned me off because I don't know if they have the experience to tell real from fake even if their intent is to be honest. Feedback is essential to me. It is how I gauge experience. If we only saw a username I wouldn't know if I am the first sucker orthe latest in a long line of happy customers. I tend to er on the side of caution so I would buy much less. Since no one is allowed to leave negatives for buyers (big mistake), the only way to gauge their behavior is in the feedback a buyer LEAVES for others (sellers). A discerning buyer and seller can read between the lines of feedback left. Negatives don't always deter ME from buying. There are people who will complain about anything and everything to save a buck, period. These are people who should never eat out, stay at any hotel anywhere or shop on the internet. I look for feedback that states things without personal attacks, when it's a negative. I also agree that feedback is the only way right now to determine if a seller will follow through or has difficulty describing their items accurately, bothers to package appropriately and whether or not they are able to ship/deliver their goods in a reasonable amount of time. Not everyone is in front of their laptop 24/7 and can ship instantaneously, THAT I understand. Sending fragile items with no cushioning, packing in a way that allows things to shift and bang around and break; that's important to know. FB is not relevant if the overall health of an account is good. It is only a portion of the formula to calculate BMSV. The biggest impact is really on a seller who allows an emotional response. "the day the music died" was when eBay removed the ability for sellers to leave negative FB for buyers. In the true sense of the word - as said by others - eBay has changed it from a meaningful stat, to one of emotion and making people feel good. eBay, is known for making things are on sellers - why should they care what happened in a transaction - as long as the seller gets screwed, the buyer gets what they want and eBay gets its cut. eBay is the town butcher that has his finger on the scale. That combined with being a protection racket for bad buyers - tells you all you need to know about how eBay REALLY values FB at all, and how they feel about sellers. BIG sellers get theirs scrubbed, small sellers dont care - its sell and then you leave eBay, its the smaller long time sellers who use it as a way to attract buyers that of course get screwed. It also coincided when eBay changed from "being just a venue" (what they said UNDER OATH)(I put out there since there are people here who swear eBay is a true, honest and a just doing business platform) to a "managed marketplace". Shame they never told their sellers that. Lying is is the hallmark of lawyers, and eBay being comprised of lawyers (and not ecommerce people), does that 24/8/366. Just look at the lie of %5 growth. Sellers in 2018 know eBay for what it is - the San Jose mafia, and for those sellers - they know - its just ANOTHER opportunity for eBay to give the sellers it hates the most "the what for". I AGAIN offer eBay the chance to come at me and sue me for defamation :) - prove me wrong. The feedback idea is still a sound one - what consumer wouldn't want to know ahead of time whether a merchant or service provider has a good reputation based on honest and unbiased reviews from others? ...Even more so the higher the cost of an item or service. eBay's seller feedback process is arguably severely flawed at this point and in this reader's opinion, lacks integrity. From employing carrot-and-stick mechanisms such as eBay's promise to remove negative feedback if sellers offer 30-day free returns, to buyers purchasing from guest accounts in order to sabotage a competitor, there are a lot of problems with the current system. Still with that being said, as a buyer/consumer looking at an eBay item and seller feedback (and all other things being equal) I'm going to buy from the 100% FB seller over the <99.9% seller ever time. There are any number of things I can think of to make the eBay FB system more equitable, but a simple, low-hanging-fruit idea that would not significantly deviate from eBay's current FB workflow would be to queue any neutral/negative feedback to the seller so they first have an opportunity to remedy any valid poor customer experience prior to permanently publishing the FB and creating an indelible (well, 12-month) scar on a sellers' reputation. Feedback used to be helpful, however with all the tampering eBay has done with it - it no longer it relevant. If enterprise sellers and ''special'' accounts could not have feedback removed, and sellers could leave feedback towards buyers, then it may be worth keeping. At this point, the feedback system should be removed. Ebay is not protecting sellers using Free Returns from ALL negative FB. It is ONLY related to partial refunds. Here is part of the policy per Ebay. Starting June 1, 2018, when you offer free returns, you'll have greater control to manage your business, and you can decide to issue partial refunds to buyers. For example, if a buyer uses or damages an item and returns it, you can decide to issue a partial refund and we'll take it from there. If a buyer escalates a case, we'll take care of it for you so you can focus on your business. Plus, we'll protect your reputation from any negative feedback. Agree with Marie, should be % of total transactions. It's about as relevant as Ebay itself. The original post is fake news. from the first sentence, " "Many of us still remember when you could leave an eBay user feedback even if you weren't involved in a transaction." This idiotic statement makes the whole post fake news and is bogus. Just because you are ignorant of a fact in an article doesn't make the news "fake." In 1999 eBay announced they were removing the ability to leave non-transactional feedback for other eBay members. The change went into effect 1Q 2000. You may not have eBay experience dating back that far, so it's understandable that you didn't know that. I think a few people confuse two different things. The ability early on to leave feedback for people you had no dealings with, and the later move in 2006 or 2008 where they removed sellers ability to leave negative or neutral for a buyer. Two different things. It seems the first move made sense. The later one, which came as they openly began to wage war against sellers is when the site's slow death was set in motion. feedback is a joke - get rid of it - it means nothing anymore since the chinese can still operate on ebay with hundreds of negatives - it's useless. Feedback WILL become irrelevant. eBay will be the seller of record, and we will all become nameless, faceless, mysterious SUPPLIERS, drop-shippers to THEIR buyer. The Buyer will only be able to leave reviews of the product, like you can on Amazon for Amazon-owned products. Amazon does let you rate their service, but that is for their internal assessment, not visible to the public. So both eBay and Amazon just look like storefronts, no tags visible as to what service levels to expect. As a buyer, you won't have to worry about buying from a newbie - you're buying from eBay, which has been around for decades. eBay will handle that newbie who screwed up the ''work'' part, if there's a problem.